When Laurie saw the movie The Way she decided that’s how she wanted to mark the transition between life in the corporate world and our new life. That movie is a fictionalized account of a California optometrist who hikes the Camino de Santiago–a pilgrimage to the supposed tomb of Saint James that dates back over 1200 years. We hiked the traditional Camino Frances route from the French side of the Pyrenees to Santiago de Compostela starting in April of 2016. It’s a 500+ mile route that took us 40 days. We then spent three days hiking to Finisterre–“the end of the earth” on the Atlantic coast in Spain. See our blog or Dennis’ Facebook page for stories about our experience. 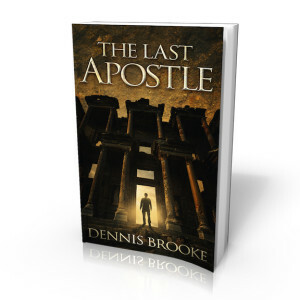 Coincidentally, Saint James is the brother of the apostle John, the hero of Dennis’ John the Immortal series. The Camino figures heavily in the next book in the series. I had plenty of opportunities to do in-depth research during our pilgrimage. I wrote a free, five-day bible study based on our Camino experiences. Download it here or see this short video for more information. The Way from 2011 starring Martin Sheen has inspired many people, including us to make this pilgrimage. We’ve been told that it takes some literary license, but is still a good movie. Walking the Camino: Six Ways to Santiago is a documentary that covers the journey of six pilgrims from different nations. Much more realistic. 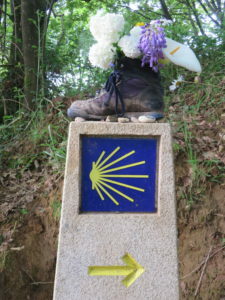 A Pilgrim’s Guide to the Camino de Santiago by John Brierly. The definitive guide for the pilgrim. Several different guides depending on your route. Your local library will probably carry older guides. Off the Road: A Modern-Day Walk Down the Pilgrim’s Route into Spain by Jack Hitt. This was a a resource for The Way movie. You’ll recognize some of the characters and stories from the movie. Call of the Camino: Myths, Legends and Pilgrim Stories on the Way to Santiago de Compostela by Robert Mullen. Story of a personal journey with great stories about the history of the Camino as well as many myths. 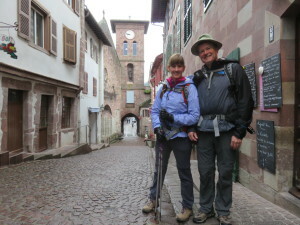 American Pilgrims on the Camino. Website of the American Pilgrims non-profit. Connect with a local chapter through them. Camino Adventures Website dedicated to the Camino. Links to free guides, maps, etc.